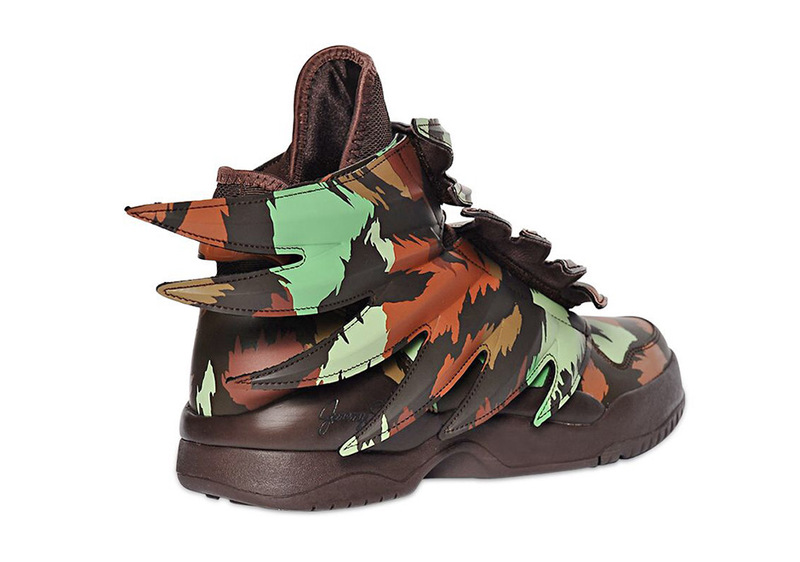 Entirely defeating the purpose of camouflage, Jeremy Scott creates the most eye-catching sneaker ever adorned with the often-used motif. 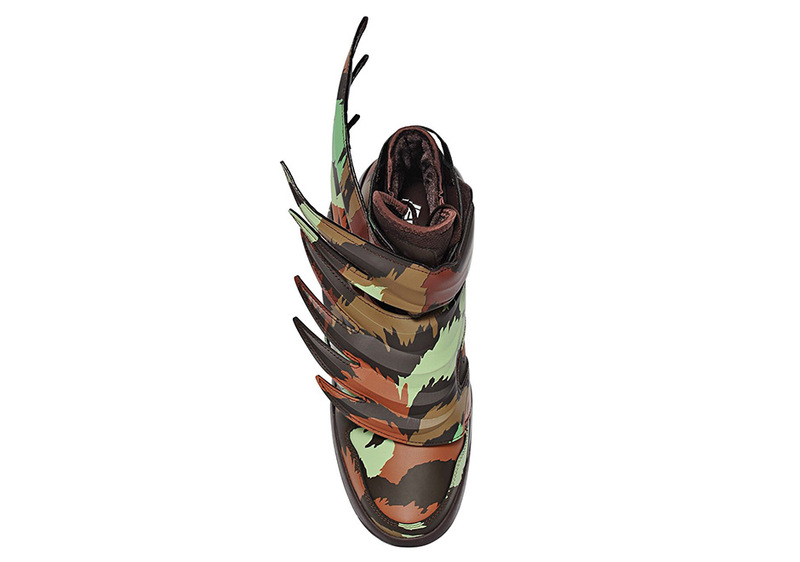 This is camo like you’ve never seen it before, featured on the already alarming adidas JS Wings 3.0 and its multi-layered winged upper. 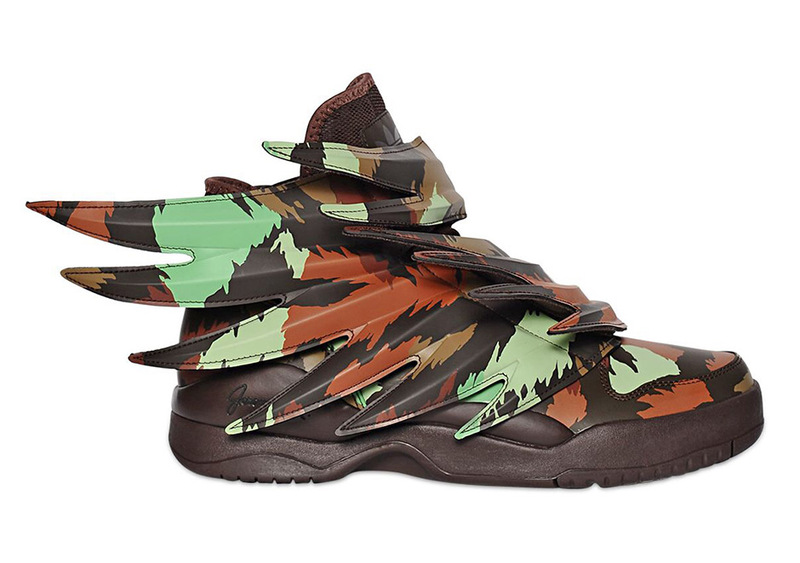 We’re going to say it’s safe to assume you won’t ever see anybody hunting in these. 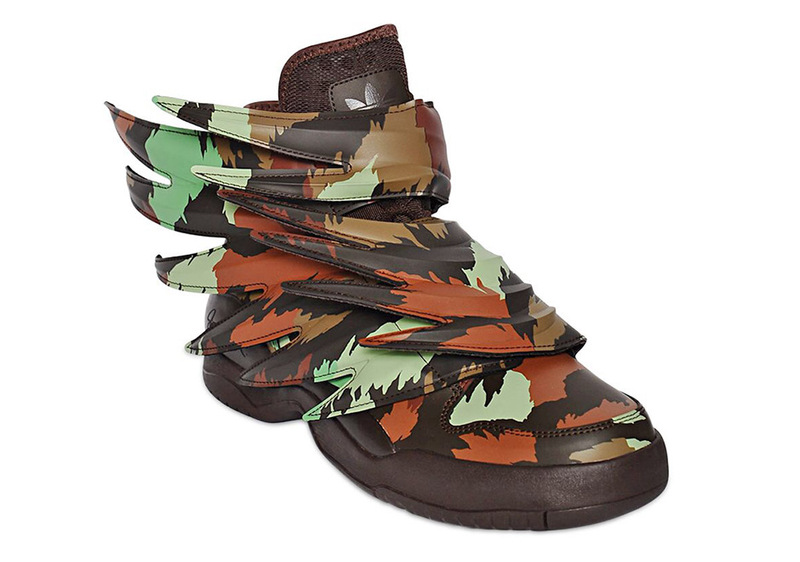 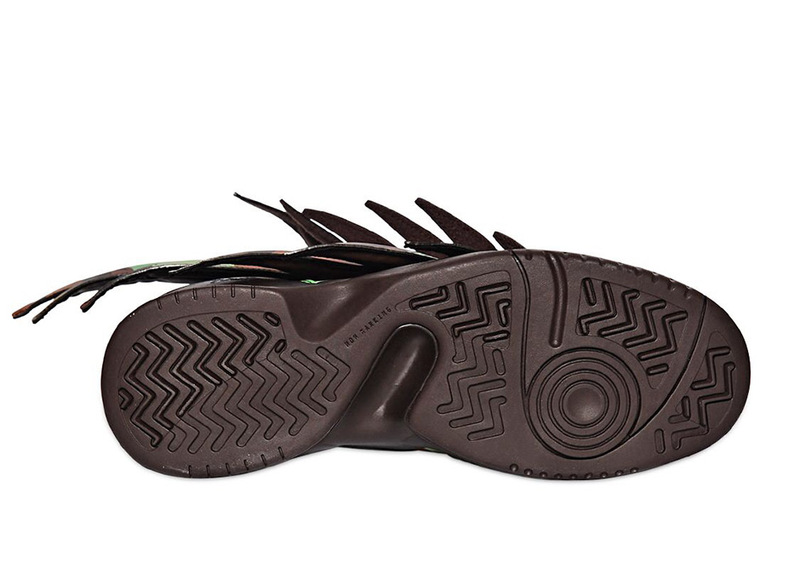 Possibly the most unique camouflage shoe you’ve ever seen, the JS Wings 3.0 “Camo” will be arriving at adidas Originals by Jeremy Scott stockists beginning in late November.